National Nutrition Month® is always a fun group of projects for us. 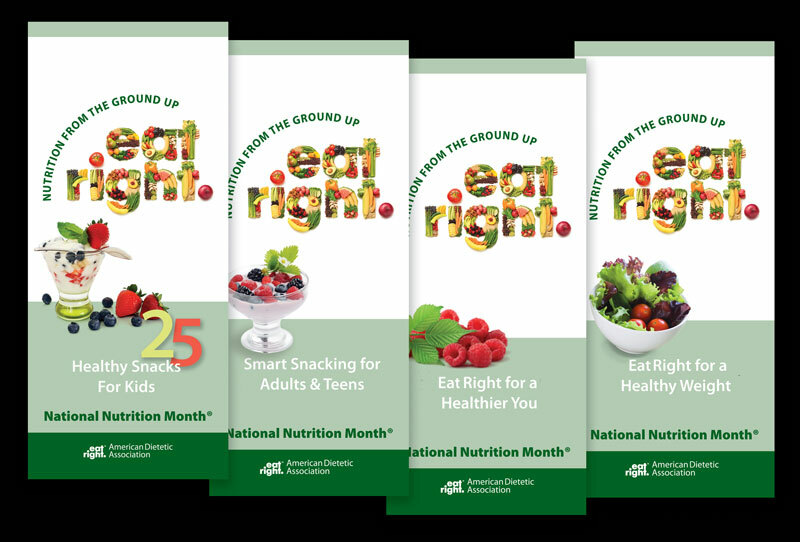 Just one part of these materials are simple, but educational trifolds that we create each year. This style of handout works great for schools, hospitals, doctor's offices and fit well in informational racks used in most waiting rooms and many retail locations among many other uses and locations.